A dark theme with greys, blacks, and some white. 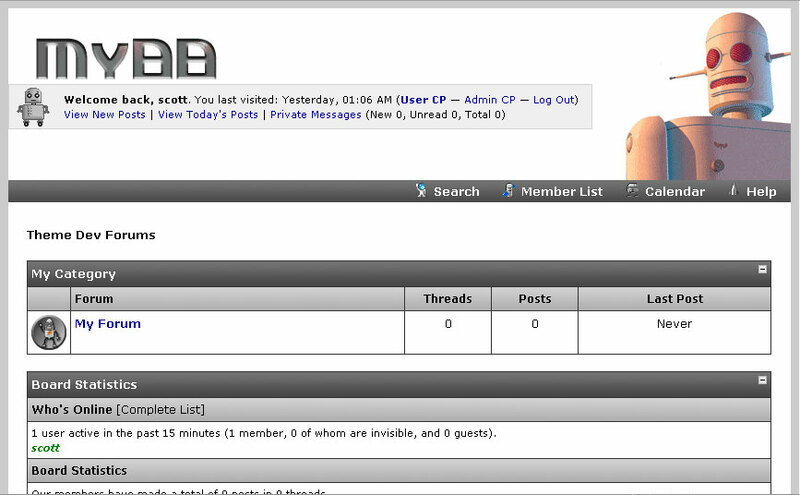 Infernofx V1 is a light theme used on version 1 of Infernofx.org. 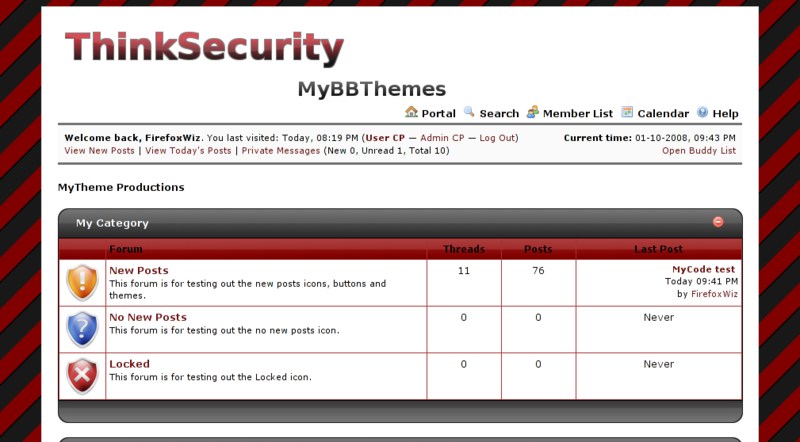 A theme originally made for GIMP Studio. Made of light blues. 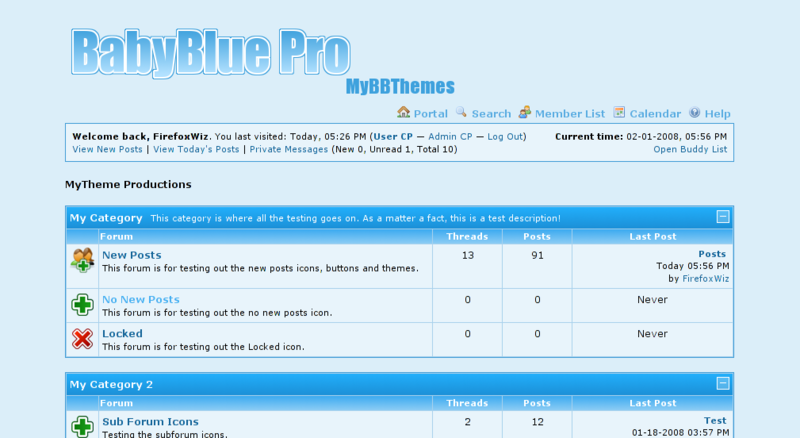 A ACP theme to match the forum theme called BabyBlue Pro. Light blues. 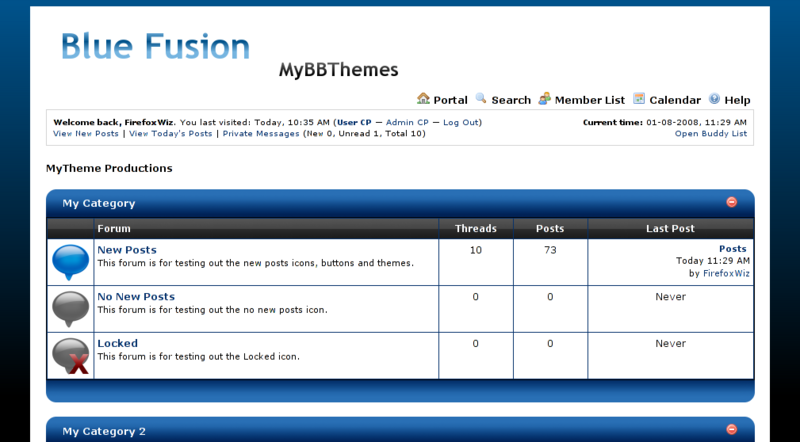 Updated the old Black an Blue theme with rounded corners, a few new images, and changed a few items. 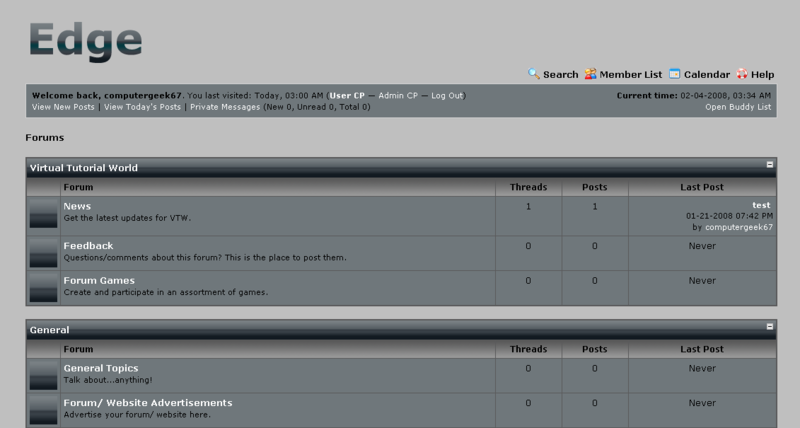 Update requested by Shawn. 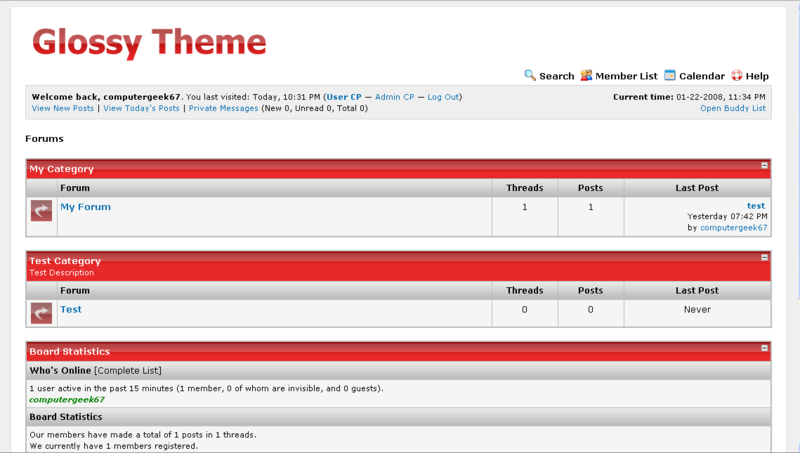 A theme that has robots as its main theme. 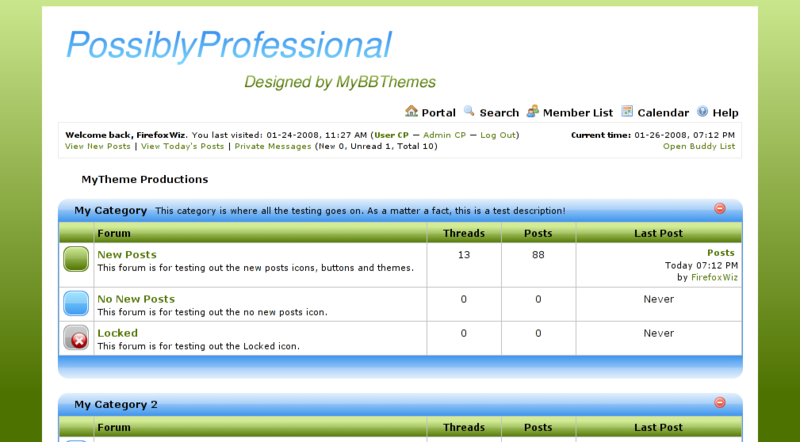 Silver and white, with white text and black border around the text. 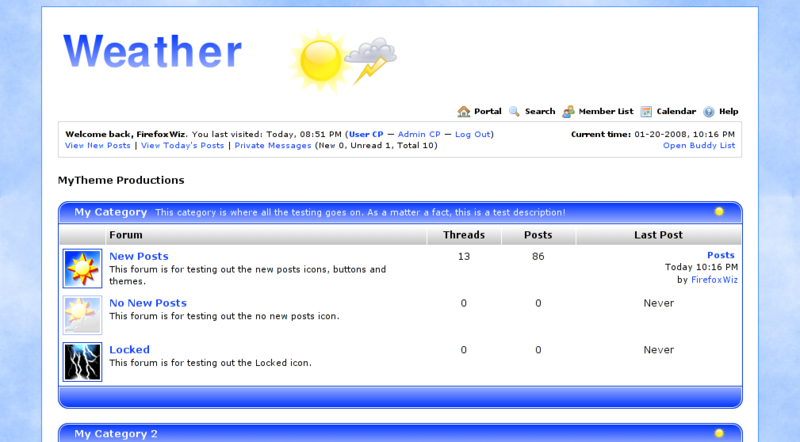 Blue, white, and silver theme with weather icons. 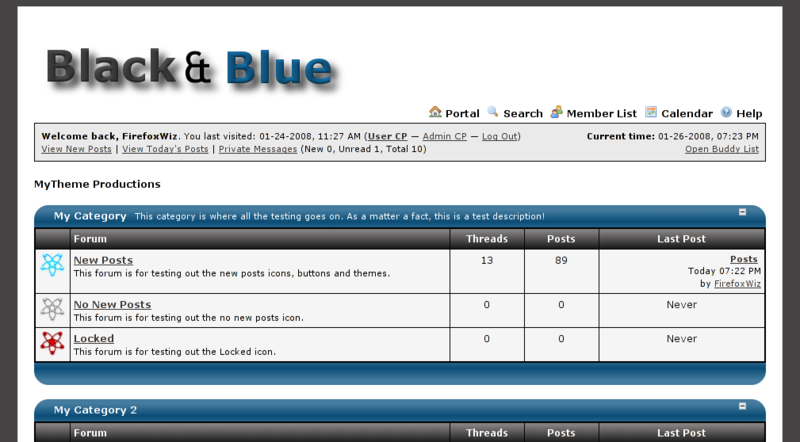 Blue cloudy background and new weather PM icons.. With a matching poll bar!